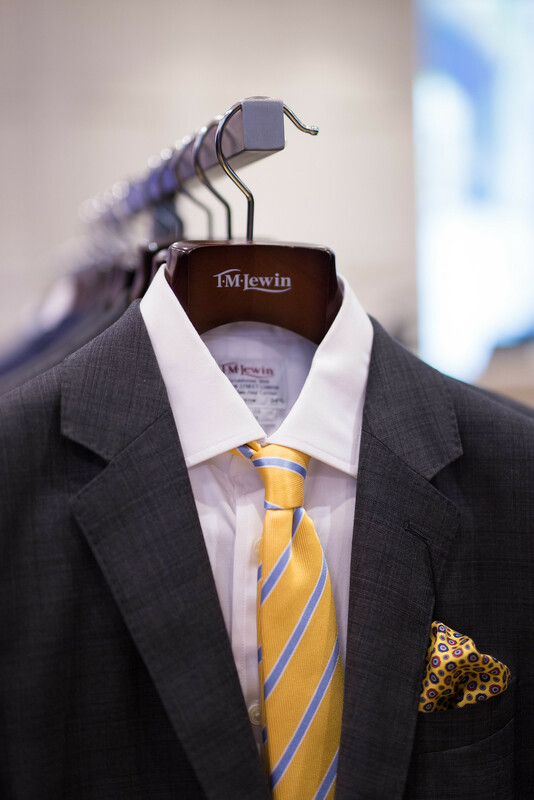 Until a few weeks ago, my initial thoughts at the mention of T.M.Lewin would have been those catalogues that arrived occasionally through the letterbox, offering every cut, collar and pattern of business shirt under the sun. 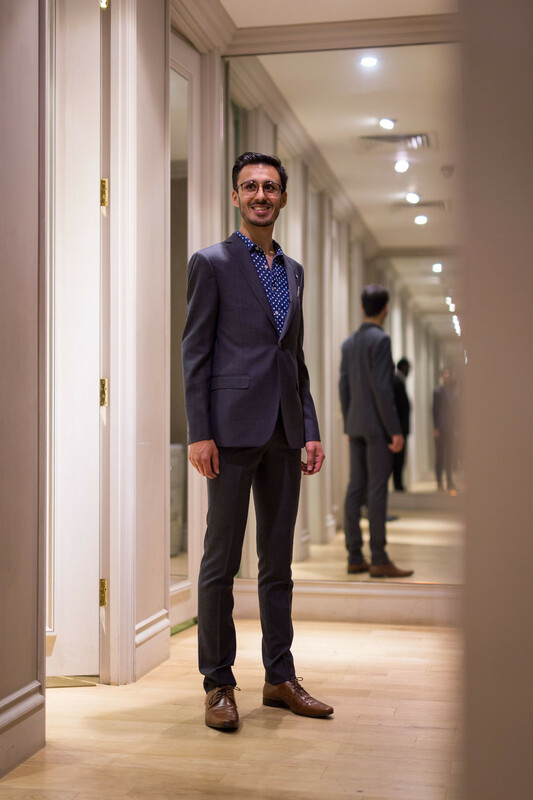 Although my personal style is reasonably smart, I hadn't considered this formal menswear retailer as having the same zing as those high street stores to which I would normally visit. 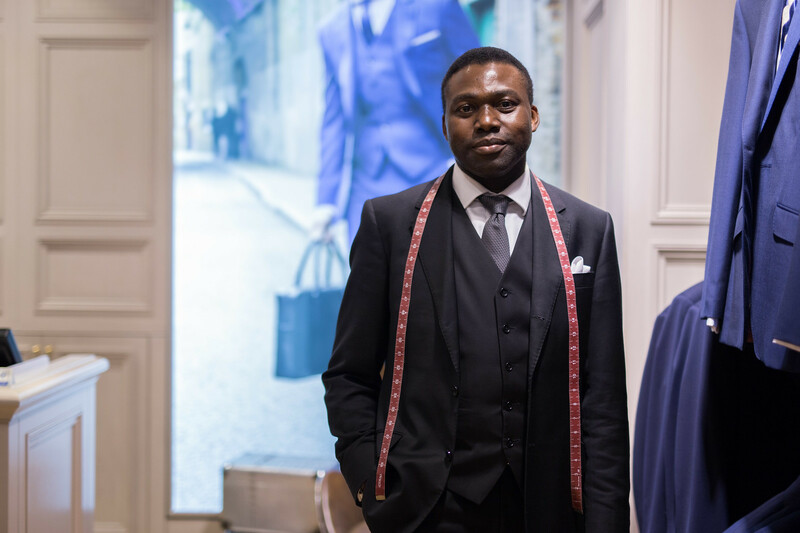 Perhaps almost ignorantly, I associated T.M.Lewin and competitor brands with business meetings, desk jobs, and a deluge of suit-clad office workers spilling off the Waterloo & City Line - admittedly not the most appealing vision for a twenty-something graduate, however sharply they might enjoy dressing. 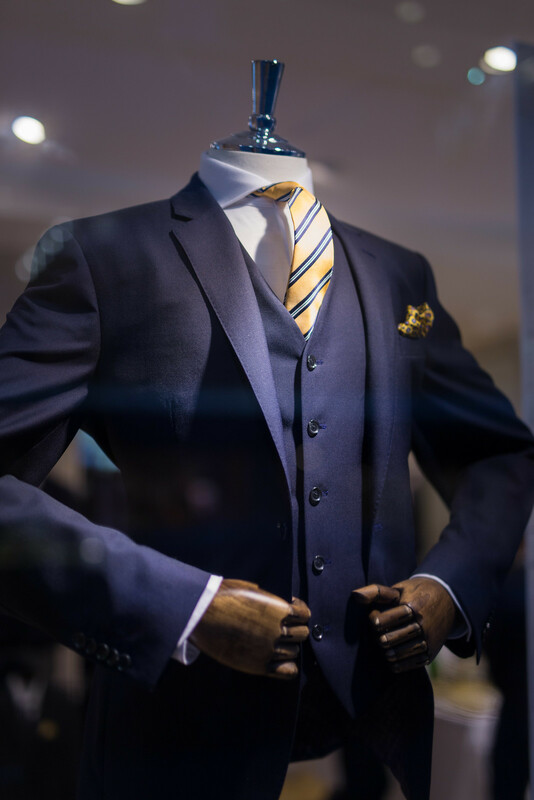 Coincidentally, the creative heads behind T.M.Lewin had been thinking along similar lines, and have therefore proposed a regeneration of the brand's image - with the added challenge of maintaining the company's heritage (it's sometimes easy to overlook that the company was founded in 1898), their craftsmanship, and their quality of service. 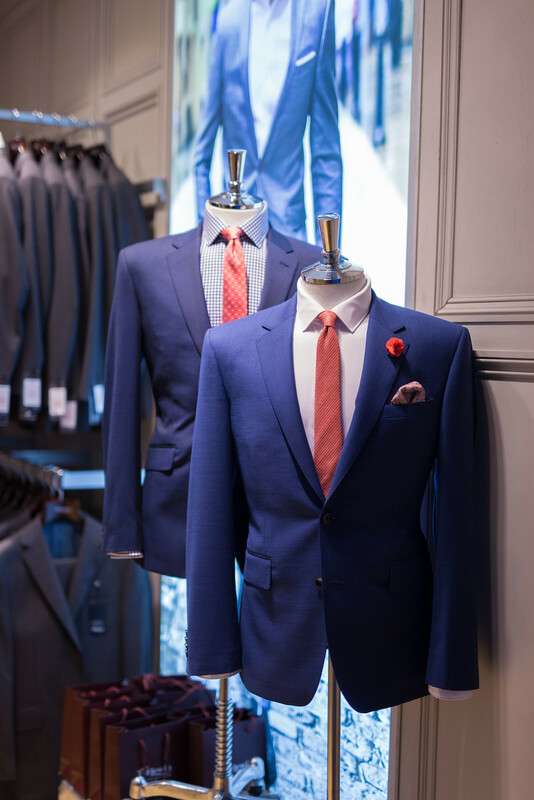 Today's style conscious consumer doesn't wear a suit because they have to, they wear a suit because they want to, and it is precisely that which T.M.Lewin wish to reflect across their collections and media. 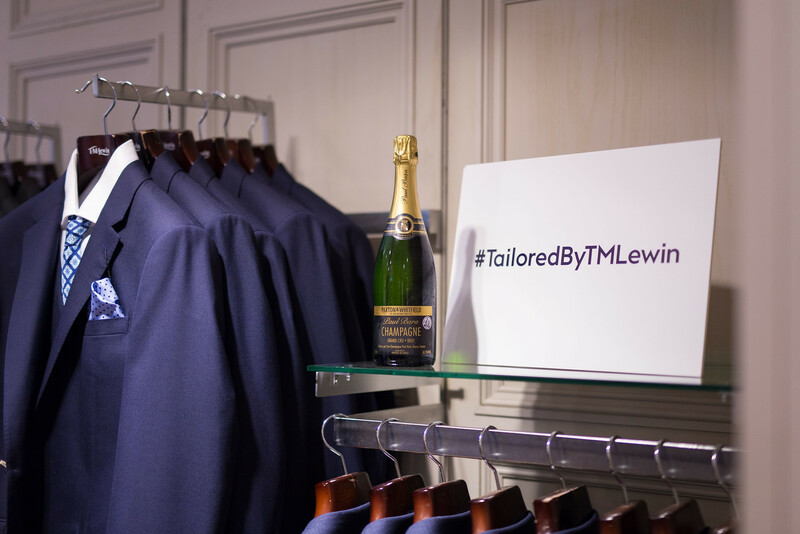 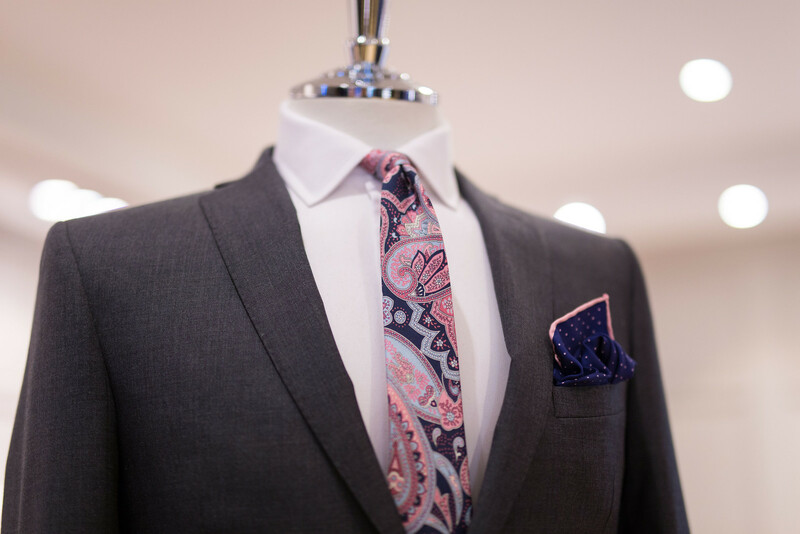 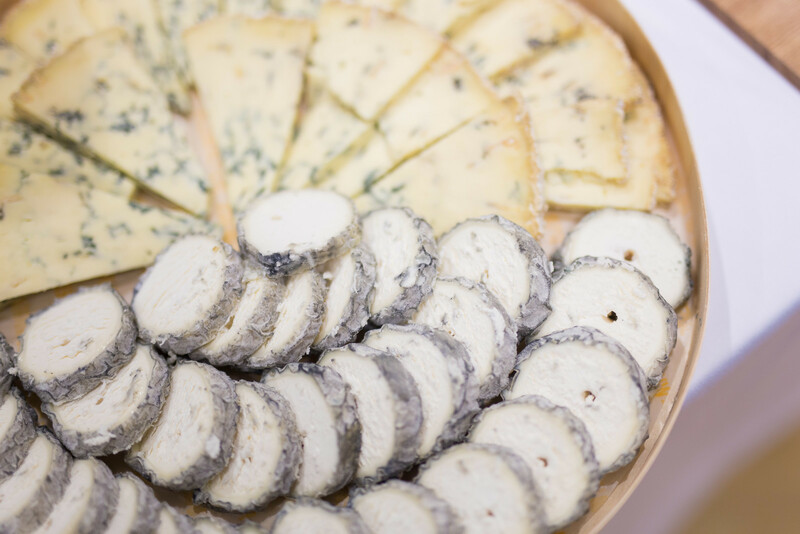 Last month, myself and a select few bloggers were kindly invited to T.M.Lewin's Jermyn Street store to view the latest menswear collection, and to discuss the brand's journey thus far with Design Director Chris Smith and the T.M.Lewin team. 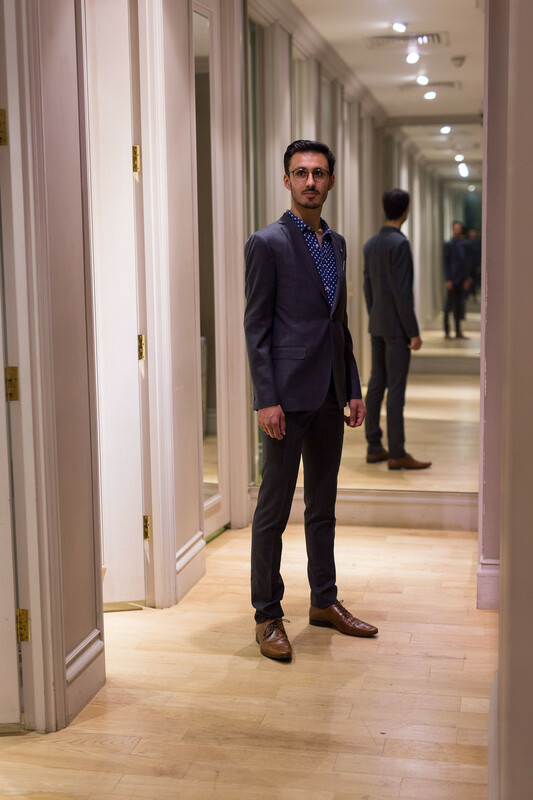 Among the modern additions is the introduction of slim-fit and skinny-fit suits, for those who desire a leaner silhouette. 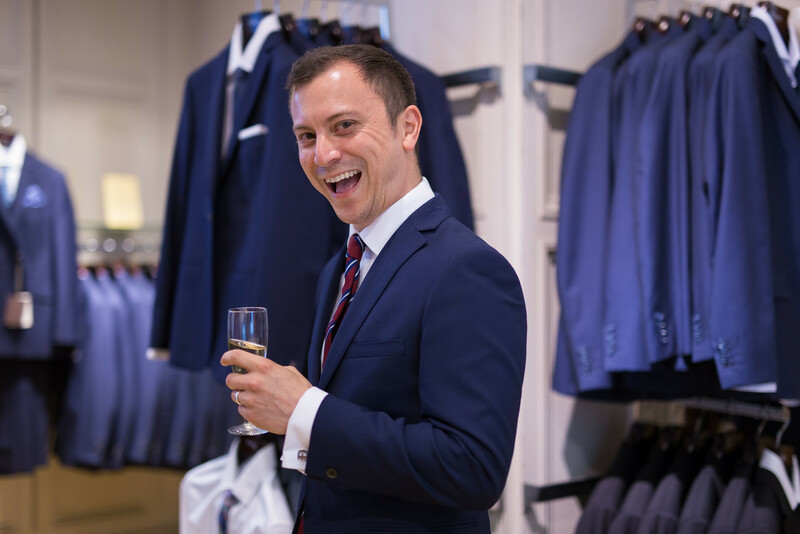 Flute of champagne in hand, I was taken aside by one of the store's expert tailors to sample T.M.Lewin's bespoke fitting service, and to try on their charcoal skinny-fit suit, which - with only the tiniest tweak in the leg - fitted me a dream. 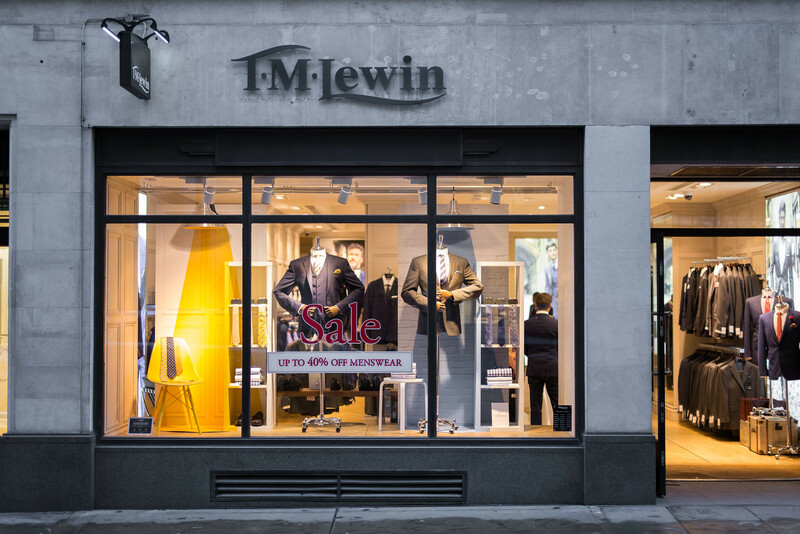 In the knowledge of their well-fitting formalwear (not exclusively for business meetings, I may now happily acknowledge), and with the promise of exploring their latest venture further, it will be virtually impossible to ignore T.M.Lewin on my next shopping trip.